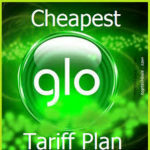 Glo Bounce Package is one the best tariffs on the Glo network. It offers best and competitive flat rate tariff to all networks with unlimited and unparalleled value any other network can offer. In this review we would be looking at the full benefits of this package and also tell you some hidden truth on this Package. Dial: Dial *170*4# and when asked for the confirmation press 1. 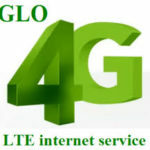 On Glo Bounce you can call for us as low as 11k/s, although this is only for your friends or families who are also on the Glo Bounce package. Phone calls made to other Glo subscribers that aren’t on the Glo Bounce tariff are charged at just 15k/s. This simply means you’re charged N6.6 per minute for calls made to other Glo Bounce subscribers and N9 per minute to other Glo subscribers that aren’t on the Glo bounce package and other networks. 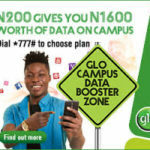 There’s also a campus zone rate, for people within campus zones or tertiary institutions to call at 11k/s flat to all Glo subscribers, whether or not they’re on the package and 15k/s to other networks. You’ll be charged 40k/s for your first minute per day. SMS to fellow Glo Bounce subscribers costs N3 per SMS, while to other Glo subscribers who are not on Glo bounce package and other networks, it costs N4 per SMS. Do not get overly excited by this, you’re only given one free SMS after you must have been charged for an SMS. So you get to enjoy one free SMS for every SMS that you’re charged. 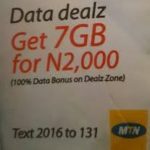 You’re given 15MB worth of data on every N200 recharge made within 7 Days. The 15MB data is only valid for two days after you must have been given. You’re not entitled to another 15MB data when you recharge N200, until after 7 Days. 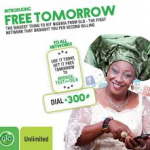 On migrating to Glo Bounce, you’re given a free ring back tune for a month only. For subsequent months, you’ll be charged accordingly. This benefit in the Glo Bounce package is called the “generation G” and it is for smart guys and babes who want bonus on recharges. The percentage of added bonus you’ll be given solely depends on how much you recharge. To enjoy this benefit and join generation G, simply dial *170*5#. 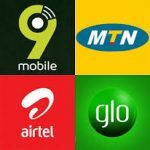 200% bonus on recharge of N500 and above.